What’s one way to show the public that you truly care about a family member and everything’s going to be all right? Post multiple photos of that person on Instagram, of course. 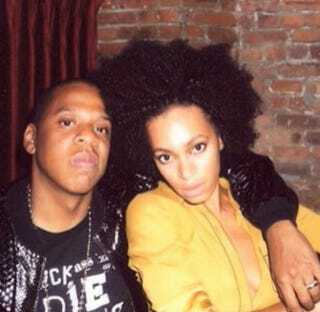 In what looks like a gesture of “love” toward Solange Knowles, both Jay Z and Beyoncé have posted several photos of themselves posing with Solange during happier times. There’s no telling the meaning behind the Carters’ walk down memory lane, but on Tuesday Solange took a different approach by deleting all photos featuring Beyoncé from her Instagram account. But that’s not to say that adults shouldn’t be held accountable for their violent reactions to situations. Hopefully this family is able to work things out and get back to whatever they consider “normal.” Because you know that what’s normal for your family may not be normal for another.